Manufacturers of all product types are required to ensure those products are free from any defects that could result in fatalities or injuries. It’s not uncommon for companies to fall short of meeting this requirement and the results can be tragic. When any injury or death occurs from the use of a defective product, a lawsuit can provide financial relief to those that have suffered damages. No one uses a product with expectation of being harmed in the process. It is a fact that many people are harmed every year while using seemingly harmless products, such as athletic equipment, appliances, and motor vehicles. Even while using the product as recommended, there can be significant risk if a product was designed or manufactured incorrectly. • Driving down the highway in a car with defective brakes, tires, or steering components. • A doctor uses a defective defibrillator on a patient. • A high school athlete relies on a helmet that was made incorrectly. • A high-amperage welder has faulty wiring. • A child’s high chair is constructed with faulty fasteners. In every situation, these products could be used in an entirely normal and responsible manner and still result in serious injury or even death. 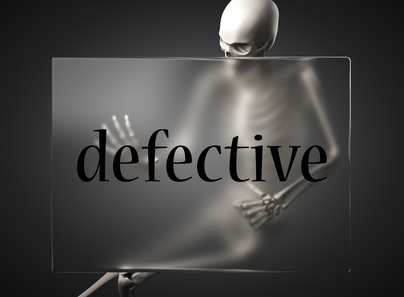 Serious defects or negligence can also result in the court awarding punitive damages. These are damages beyond the normal damages (compensatory damages) and are used to punish a company. They also serve to help ensure the company won’t commit a similar error in the future. It is not common for courts to award punitive damages but it can occur in extreme cases when justified. What if the product in question was subject to a recall? It is not unusual for a product to be recalled from the market by the manufacturer. While this is a responsible action to take, it does not absolve the manufacturer of responsibility for the injuries or deaths caused by those products. The company is still liable. It is not just the manufacturer that can be held liable when death or injury results from use of a defective product. It can also include any parties along the supply chain, including any distributors, wholesalers, and end sellers. It can be difficult to prove that a defective product was the cause of an injury. The laws related to product liability can require investigations to be performed and data to be collected by experts, such as doctors and engineers. Lawsuits filed because of defective products can help those affected to recover monetary damages for both emotional and financial losses. Speaking to a qualified personal injury attorney is the first step toward receiving the compensation you deserve.